When it comes to car shopping, confidence is a powerful commodity. And through the Volkswagen Certified Pre-Owned program, we aim to instill that confidence from first sight to test-drive to time of purchase and beyond. So you can move forward in a vehicle you can't wait to show off. When quality and value come together like this-you get something truly outstanding. Rigorously tested and meticulously inspected, these vehicles offer what non-VW dealers cannot match. Or certify. Because with our superior brand knowledge comes the expertise you need to go with confidence. 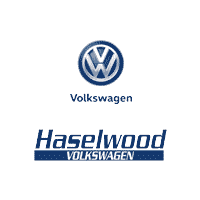 Volkswagen offers a distinct certified pre-owned limited warranty program depending on model. Volkswagen Certified Pre-Owned vehicles are put through a comprehensive, meticulously detailed, 100+ point dealer inspection. Should a car not perform according to our strict VW standards, we won't certify it until we can correct the issues-using Genuine Volkswagen Parts, of course. Transform your in-car entertainment with over 150 channels of SiriusXM® Satellite Radio. If your Certified Pre-Owned Volkswagen is SiriusXM equipped, you'll enjoy a 3-Month All-Access Trial Subscription, including all premium programming. Even better, with the SiriusXM App, you'll be able to listen at home or on the go. It's everything you could ever want to hear, practically everywhere. We want you to know your car inside and out, which is why every Certified Pre-Owned Volkswagen comes with a CARFAX® Vehicle History Report.™ This report gives you valuable insight into potential issues like title problems, ownership history, prior accidents, and more-providing you with the assurance you need to drive away more confident than ever. 1) See owner's literature or dealer for your vehicle's warranty coverage, exclusions and limitations. 2) Roadside Assistance provided by a third party. 3) Three months of SiriusXM Satellite Radio on satellite radio equipped vehicles, plus access online and on the app. SiriusXM Satellite Radio requires a subscription, sold separately by SiriusXM after any trial period. If you decide to continue service after your trial, the subscription plan you choose will automatically renew thereafter and you will be charged according to your chosen payment method at then current rates. Fees and taxes apply. To cancel, you must call SiriusXM at 1-866-635 2349. See SiriusXM Customer Agreement for complete terms at www.siriusxm.com. All fees and programming subject to change. ©2017 Sirius XM Radio Inc. Sirius, XM, SiriusXM, and all related marks and logos are trademarks of Sirius XM Radio Inc.
4) CARFAX Vehicle History Reports are based only on information supplied to CARFAX, CARFAX does not have the complete history of every vehicle. Use the CARFAX Vehicle History Report as one tool to aid in your decision when purchasing a pre-owned vehicle.